Welcome back to the Van Norman Law blog, where we have another edition of New Arizona Laws and You. This month’s coverage of laws affecting our daily lives, can save a world of headache, heartache, or worry in the future. Today, we are looking at HB 2145, a law that was implemented to combat predatory moving practices in Arizona. This House Bill signed by Governor Ducey provides protections for Arizonans who hire a moving company for an in-state move. The bill is built to prevent moving companies from holding a person’s belongings ‘hostage.’ Under the current law, there is no recourse for customers left powerless in the face of a disputed bill. Both consumers and companies are now given clear legal guidelines. The moving companies are required to provide a contract of the services they are providing, disclosing all fees involved, as well as any insurance policy over the goods. 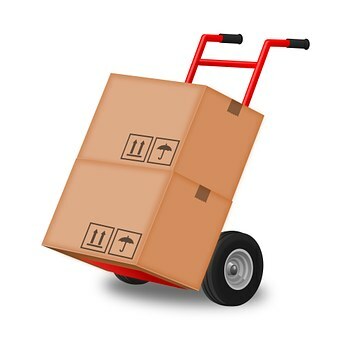 In the event a mover refuses to unload or deliver a customer’s belongings, the bill allows law enforcement authority to take possession of the load. On the other side, it allows moving companies to pursue collection of payment on the contract after the goods are unloaded. This may not seem like a problem, but the Attorney General’s office as well as the Better Business Bureau, have received many complaints about this exact issue. This bill seeks to balance the buyer/seller rights and helps to define the legal recourse for either party involved. If you are planning to hire a moving company to help with your next move, expect a clear contract, including an itemized bill and what is to be expected.